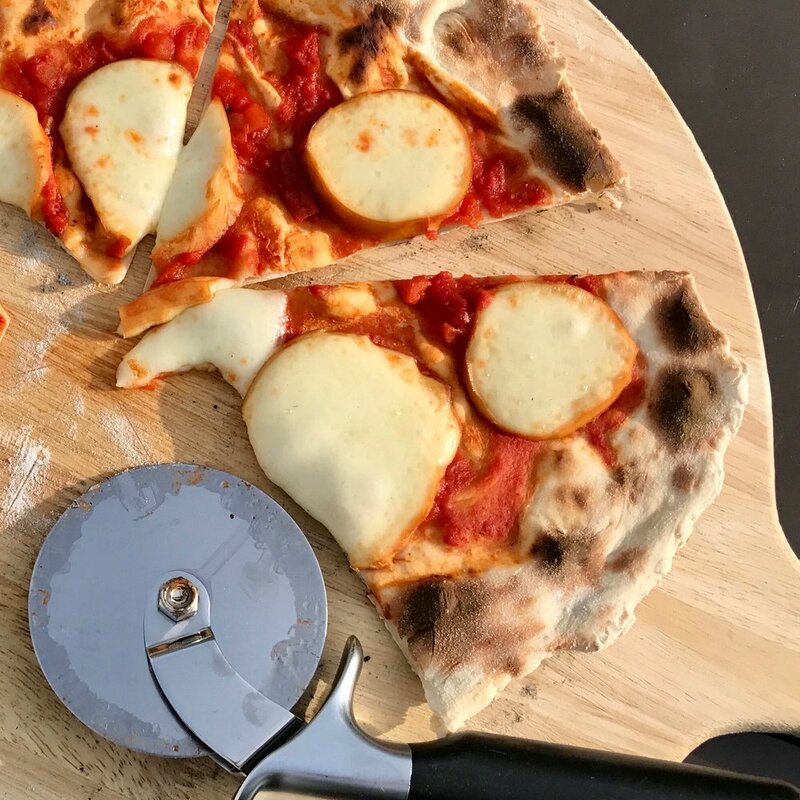 MARGHERITA WITH A SMOKY TWIST — NORTHERN DOUGH CO.
Move your pizza base to the lightly floured baking tray, spread the passata thinly across the surface, slice the smoked mozzarella and add as generously as you like. Add additional toppings if you have any to hand, fridge leftovers are great on pizza! Move to the hot oven for approx. 8-10 mins, checking regularly towards the end of the cooking time. Your pizza will be ready when the crust has turned golden brown and the toppings are bubbling. Remove from the oven and leave to cool for 3-5 mins. As well as preventing burnt mouths, this also helps the pizza topping to ‘set’ and means your toppings won’t slide when you slice into it! Slice, share (or not!) and enjoy!